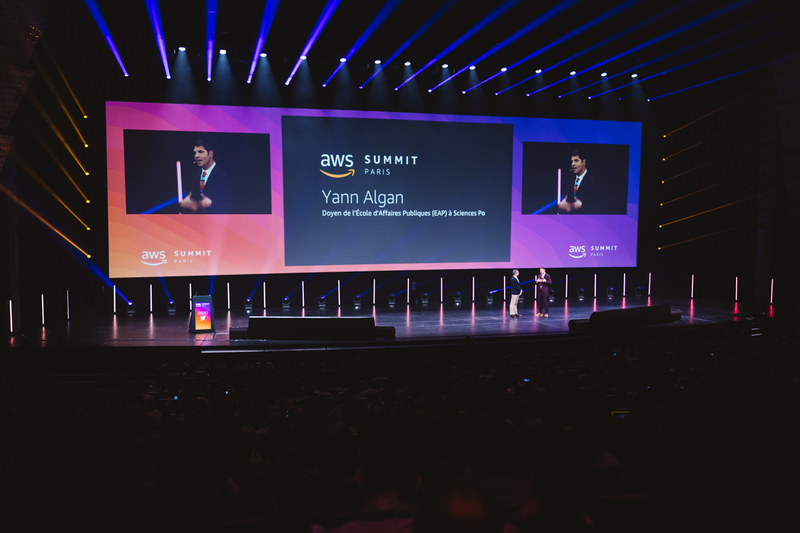 Today at the AWS Summit Paris, the Sciences Po School of Public Affairs, an international research university ranked among the best institutions in the world in the fields of humanities and social sciences, announced the launch of a new Public Innovation Lab, powered by Amazon Web Services (AWS). Based in Paris, the Public Innovation Lab will focus on building innovative and practical solutions to challenges faced by French public and private organizations, including government, education, and nonprofits. Integrated into each year’s curriculum, students will work on challenges facing people in France such as an aging population, physical mobility, and the 2024 Summer Olympics and Paralympic Games. The theme of these challenges will be selected each year by an independent steering committee, led by the Dean of the School Of Public Affairs. As part of the Public Innovation Lab, students will use AWS cloud technology to develop solutions to accelerate the digital transformation of existing public and private organizations and systems to solve community challenges. Students will be encouraged to design new alternatives for citizens by using cutting-edge technology. By collaborating with AWS, students will bring a technological component to their solutions through a better understanding of digital and cloud capabilities. AWS will provide students with AWS credits and technical training as well as technical mentoring sessions. AWS experts will support students in architecting and building solutions for citizens using security and technical best practices. AWS solutions architects will meet with students regularly for face-to-face sessions to share guidance on how the cloud can be used for their specific use cases, workloads, and applications. Students will also have the opportunity to meet with AWS business experts such as account managers, business development managers, and consultants to learn about the commercial side of launching new applications. The Sciences Po Public Innovation Lab is the latest initiative supported by the AWS Cloud Innovation Center (CIC) program, which brings together Amazon’s innovation processes, cloud expertise, and global solution platforms. Other CIC initiatives include those at California Polytechnic University Digital Transformation Hub in San Luis Obispo, California, Arizona State University Smart City CIC in Tempe, Arizona, and the Busan-Amazon Cloud Innovation Center located in Busan, Korea. For more details on the Sciences Po Public Innovation Lab, visit the Sciences Po School of public affairs website.